Yennai Arindhaal is a film which has Ajith in the lead role. This film has been directed by Gautham Menon. The teaser of the film was recently released in online. This teaser is creating various records. People who have been enjoying this teaser in the smartphones and computers will be able to view this teaser in all the theatres from tomorrow, that is the day of Lingaa release and Superstar's birthday. 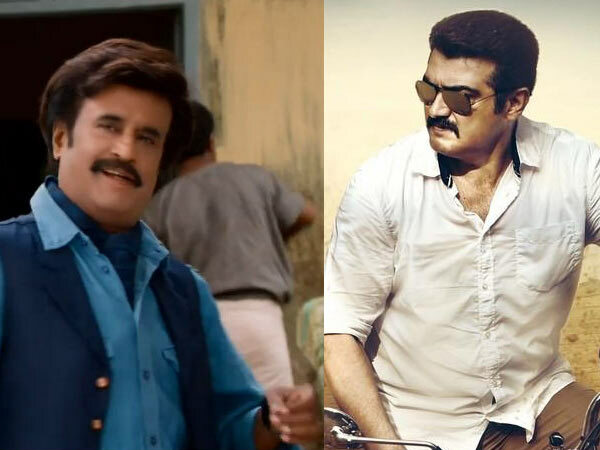 So all Thalaivar fans can enjoy Thala's 'Yennai Arindhaal' Trailer. Apart from this a Ghana song which begins with the lines Adharu Udharu will be released tonight at 12. Director Vignesh Shivan has penned the lyrics for the song. Ghana Bala and Vijay Prakash has sung the song. The crew has mentioned that this Harris Jayaraj’s song will be a great hit like the teaser of the film. Trisha and Anushka are the heroines of the film. Vivek and Arun Vijay is donning important roles in the film. It has been decided to release the film for Pongal.